Pet insurance is a healthcare policy that helps cover the costs of veterinary care if your pet becomes ill or injured. Is it like Human Health Insurance? Yes and no. Like human health insurance, you’ll pay a monthly premium—usually determined by your pet’s species, breed, and age—and depending on the policy, your insurance company will cover a portion of certain treatments and procedures. Unlike human health insurance, however, most pet insurance policies are based on reimbursement. This means you are responsible for payment up front and are reimbursed by the insurance provider after submitting a claim. Insurance companies will work with veterinary hospitals directly in some cases, leaving you responsible only for your copayment at the time of service after your deductible; however, this can vary from one provider and practice to another. Contact us if you’d like to chat about the ways we work with pet insurance companies. You name it, there’s a plan to cover it. 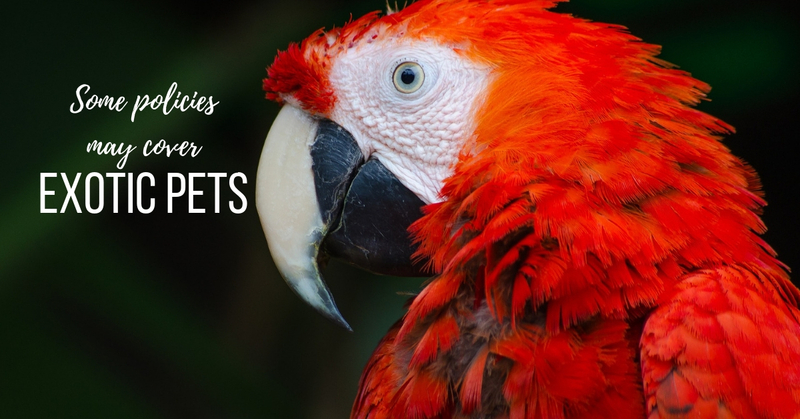 In addition to dogs and cats, many pet insurance providers also offer equine, avian, and exotic plans that cover everything from snakes to sugar gliders. Most insurance policies also cover a wide range of breeds and ages—but you should be aware that these factors will influence the cost of coverage. Most pet insurance plans cover a wide range of illnesses and injuries, but won’t provide coverage for preventive care, such as annual exams, vaccinations, lab work, and routine dental cleanings. Some other types of care, such as complementary therapy or behavior modification, may also be excluded from coverage; however, many providers offer coverage for these types of care for an additional premium. Are there Different Types of Pet Insurance? Yes. Most insurance providers offer both comprehensive and limited-coverage plans. Comprehensive policies cover a wide range of illnesses and injuries—including hereditary and congenital conditions—while limited-coverage policies are reserved for emergencies, such as bites, foreign body ingestion, bloat, and poisoning. For an additional premium, some insurance companies also provide coverage for costs related to preventive and complementary care, breeding, and behavior modification. Several factors can affect your pet’s insurance coverage—and pre-existing conditions are one of them. For many pet insurance providers, a condition is considered pre-existing at the time signs are observed, not at the time of diagnosis. That means if your pet has been exhibiting signs of illness or injury before he became insured, the condition may not be covered. It’s important to keep in mind that most pet insurance policies also have waiting periods—anywhere from a few days to a month—before full coverage kicks in. The best bet is to get your pet insured as soon as possible to ensure he’s eligible for the most coverage. Pet insurance premiums are not one-size-fits-all. Your monthly premium will depend on several factors, including your provider, deductible, location, and of course, your pet. His breed, age, pre-existing health conditions, and risk factors all play a role in determining what you’ll pay each month to keep him covered. Like human health insurance premiums, this amount can also change from year to year. What can I Expect to Pay before my Pet’s Care is Covered? Like premiums, pet insurance deductibles can vary. Some insurance providers offer fixed deductibles, while others allow you to set your own—which also gives you more control over your monthly payment (higher deductibles typically equal lower premiums and vice versa). Deductible schedules can differ as well. Unlike traditional annual deductibles—which are applied to all conditions and reset every year—some providers require deductibles to be paid per condition. These policies require you to meet your deductible each time your pet develops a new medical condition. Per-condition deductibles can reset annually or may only be required to be met once during your pet’s lifetime. Most insurance companies reimburse pet owners based on the cost of treatment, meaning they pay a certain percentage of the total invoice after the deductible has been met. Alternatively, some providers use a benefit schedule. This means the insurance company pays a maximum amount per condition annually, regardless of the actual treatment cost. Pet insurance is not for everyone, but it is something to consider before you need it. 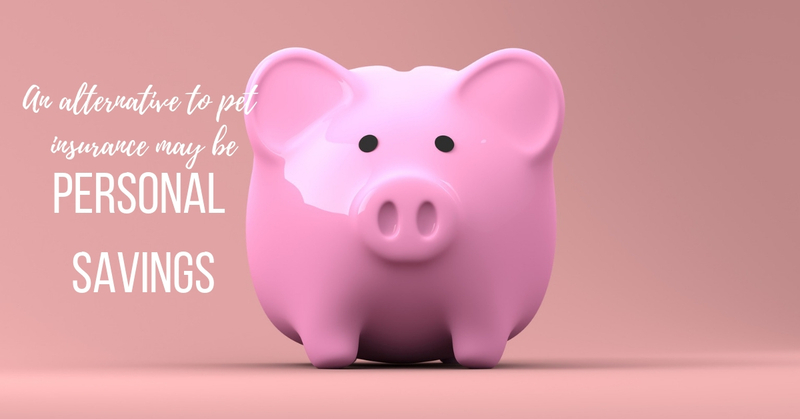 When considering an insurance plan for your pet, it’s important to think about your personal financial situation, as well as your pet’s lifestyle, and find a plan that can meet the needs of both. 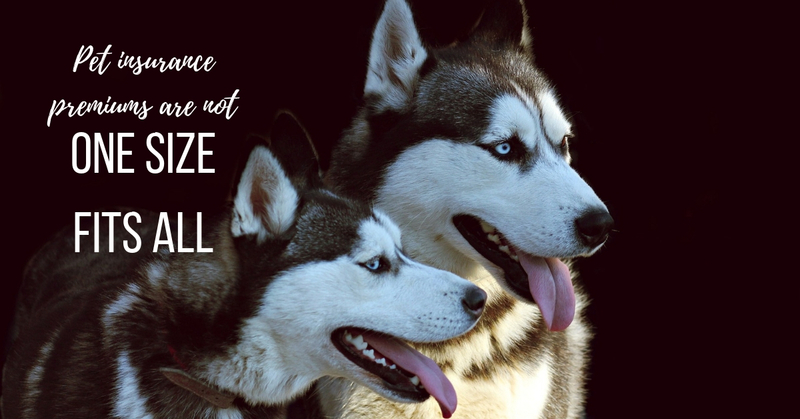 For example, if your dog’s breed is predisposed to certain conditions, like heart disease or joint problems, you may want to think ahead and get coverage before those issues arise. Your veterinarian can provide valuable information about your pet’s potential health risks and help you determine whether pet insurance might be a valuable investment. As veterinary medicine continues to advance, companion animals are living longer than ever—and pet insurance is a great way to prepare for the care they’ll need along the way. If insurance isn’t the right option for you, however, there are a number of other ways to budget for these costs. Consider researching the amount you’d pay for a monthly insurance premium and add that amount to a savings account instead, or set aside a personal credit card to help with large or unforeseen veterinary expenses. You can also use a financing program, such as CareCredit and you could apply on our website. Bottom Line: Is it Really Worth it? The most important benefit of pet insurance is peace of mind. If your pet is insured, it means you will never have to make important decisions about his care based on cost—and for many pet owners, that is invaluable. As always, if you have questions about the best care for your dog or cat, please feel free to contact us!